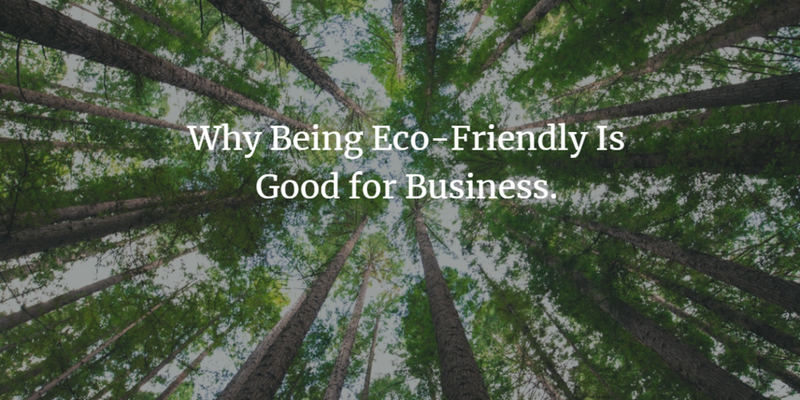 Why Being Eco-friendly is Good For Business. There have been a few changes this week! We have stocked eco-friendly products since I started the business, but after a while we also started supplying products, which are not. This has been mainly due to not being able to source containers for the sweets, but it is something that has played on my mind quite a while. However, all that changed last week. After a lot of searching, we now have compostable pots for sweets which are made from bamboo. So I have made the decision to supply mainly Eco-friendly promotional products. This has meant we have gained new products and also lost a few. There are two main kinds of Eco-friendly promotional products. Those that are made from recycled material, such as recycled plastic or tyres and those which are made from sustainably sourced materials, such as bamboo which grows very quickly or wood which is from a sustainably managed forest. So that when trees are felled, new ones are planted in their place. Not only do we think it is important to have products which are eco-friendly but also to have ones which will be useful to your target market. So that they do not just end up in the bin. So why would you want to give eco-friendly promotional products? You can use them to boost your brand image. Firstly by showing off your logo and message to your client or prospect with something that will appeal to them and is useful. Which is the same as with any promotional products. But by giving an eco-friendly product which is good for the environment, you can also show that the business is caring, and thinks about others and the world around us. Which is extremely important to many people and gives them the feeling that you will care for them too. This will obviously only work if you do care for them, as otherwise they will feel rather let down. We have a great range of eco-friendly promotional products, which will grow as time goes on and we all learn how to reuse more materials, which can only be a good thing in my opinion. So whether it is lanyards and notebooks for an event, hampers for Christmas or a tin of mini mints we can help. Newer PostHow Important Is Your Customers Journey? Older Post Why Business Marketing Materials Matter.